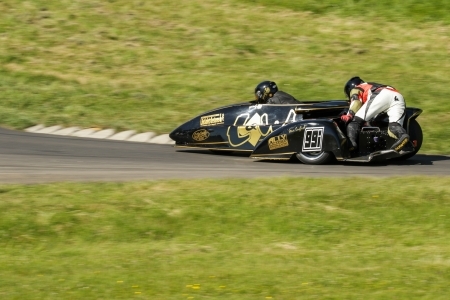 Sunday 22nd April brings the motorbikes and combinations from the Autocycle Union’s (ACU) National Hill Climb Championship to Gurston Down Speed Hill Climb. The riders and their machines always produce some spectacular racing and Sunday will not disappoint. Check some of our videos posted on Facebook! The Solo Motor Cycles 100cc to 250cc class, goes first, it has just two entries. Neal Jillings and Allan Harvey on their Honda CRF and Huish Yamaha YZ respectively. The bigger Solo Motor Cycles 351cc to 500cc class, goes next. 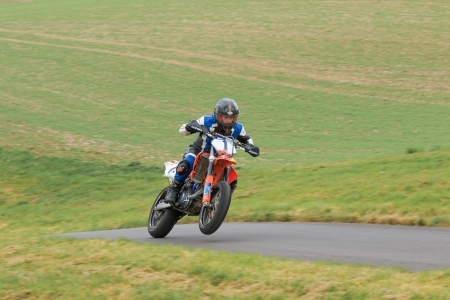 Callum Short who was the winner of the 250cc class last year is back on a bigger 450cc KTM. But he really does have some stiff competition: Chris Keates (Honda CRF); Mark Tilley (Honda CR) and Richard Bowker (Honda CRF) to name just a few. Chris won last year by just 0.21s ahead of Mark. The Solo Motor Cycles 501cc to 750cc class had seven entries. All these riders are super competitive and many in the top ten hill climbers in 2017. It will probably between Peter Short and his KTM, Tommy Hodges (KTM SMR), Mark Short (Aprilia SVX) and Keith Haines (Aprilia SVX). 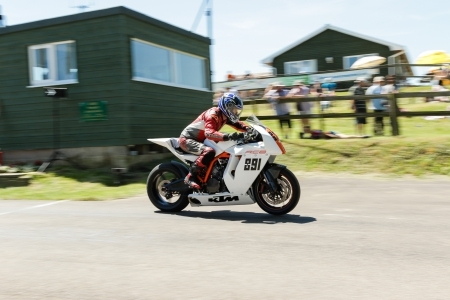 Last year Tommy managed a 34.11s rin, just 0.88s quicker than Peter! The Solo Motor Cycles 751cc to 1300cc class sees another big class entry. 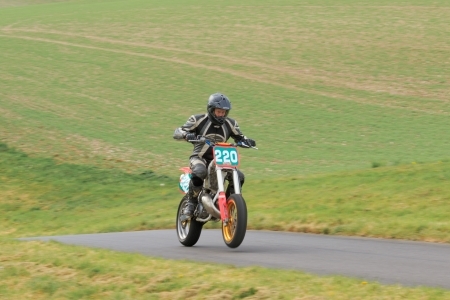 Stuart Mills on his Aprilla Tuono won at last years meeting. 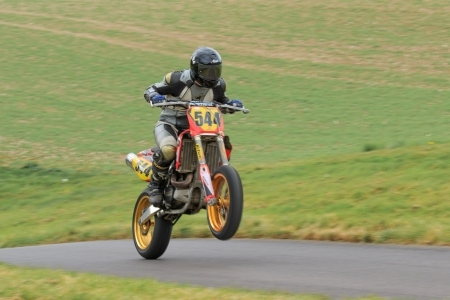 Stuart has Paul Jeffery (KTM) and Allan Jolly (Aprilia TZV) and four other riders to contend with. These riders will be contenders for the Fastest Time of the Day and the Top Ten Run-Off! And then it’s the turn of the motorbike and side car combinations! The side cars are a proper spectacle! The pillion (passenger) only stays on by holding on buy their feet and hands, no seat belts or harnesses. The pillion hanging on or sometimes out of the combination! 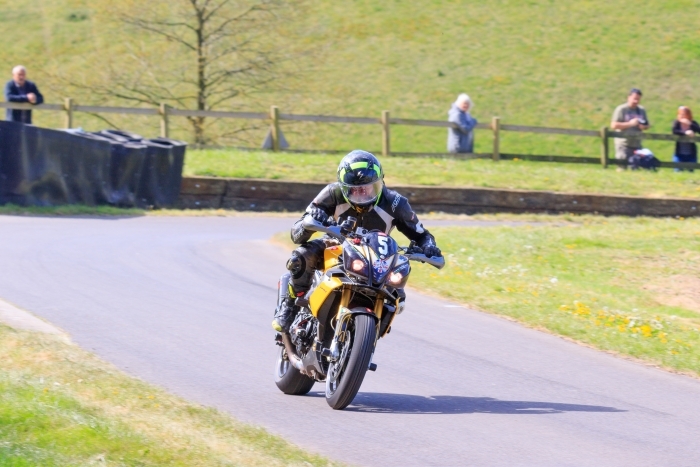 The current hill record holding combination returns with a different pillion passenger. Ian Guy holds the record set in 2017 at 35.09s. The previous record holders also compete. Patrick and Paul Keates on the Baker F1. Then the bikes will have a Top Ten Run-off. The Ten fastest motorbikes and combinations will compete again to score additional points. Last years winner was Stuart Mills on 34.02s.